They're finished. The design and charts needed to be modified more than once but the end result was okay. The pattern still needs a little tweeking, so I'll work on that. 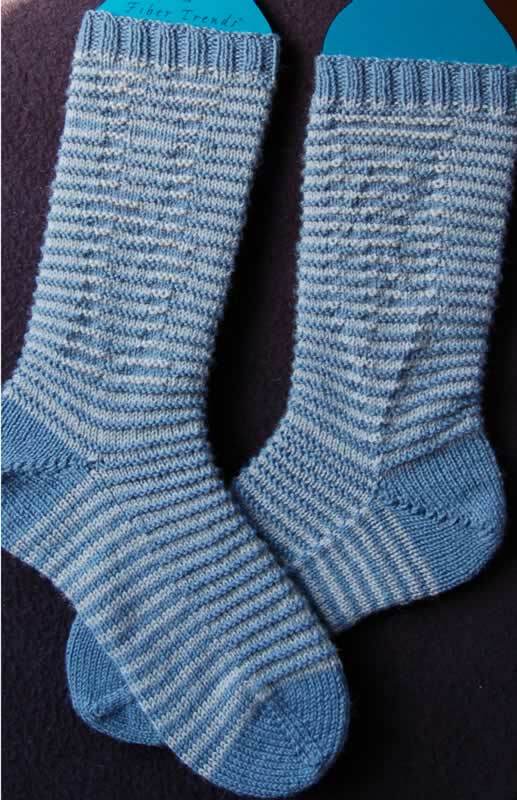 Here are my "shadow knit" Hogwart socks, in Ravenclaw colors. 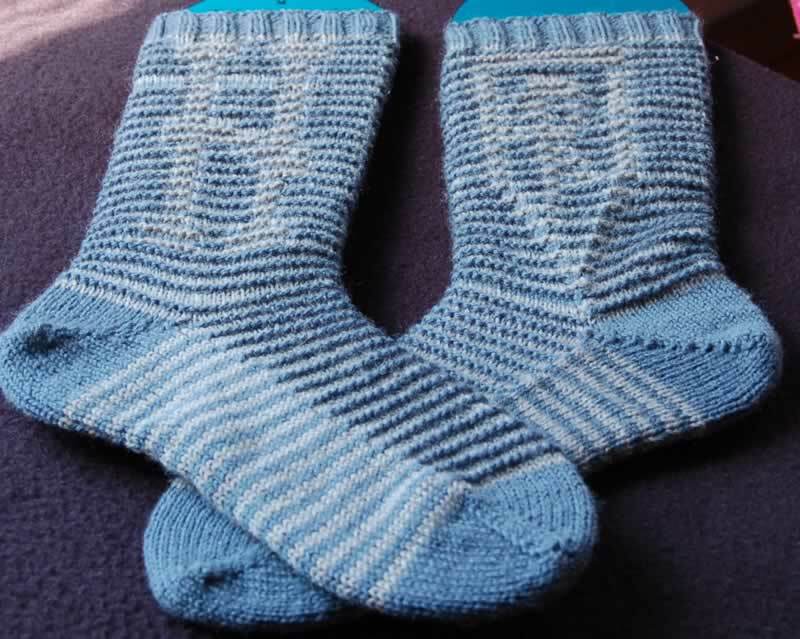 The Hogwart's "H" is on the sock on the left and the Ravenclaw "R" is encased in a shield on the right sock. This was not only my first design in shadow knitting, but also my first time shadow knitting anything. It was fun and I learned some design tips as I went along. Once I get the right colors, I look forward to designing a pair of socks for each of the houses. Those socks are WAY COOL!!!!!!! Just stumbled onto your blog...will check back! did you ever pu tout the pattern? I would LOVE!!! to make them.